Your excavators are only as good as the attachments and buckets you have on them. Fortunately, when you choose Felco, you’re choosing the best – products built for contractors. By using Felco’s 2-in-1 integrated compaction buckets, you’ll save both time and money—backfill and compact with a single attachment. Say goodbye to the frustration of switching back and forth from a digging bucket to a separate roller wheel all day long. With Felco you can do both jobs in a single action—in less time than it’s taking you now. How does increasing efficiency and productivity by 20% or more sound? We think it sounds great… Which is why Felco engineers and manufactures high-quality excavator attachments and excavator buckets that have been proven to increase your efficiency, boost your productivity, and maximize your profits. 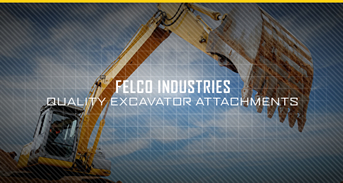 When you want to get the job done, Felco is the excavator attachments manufacturer to choose. At Felco, we offer a variety of compaction attachments, including vibratory and roller compaction buckets, roller wheel compactors (known industry wide as wheel compactors), and vibratory plate compactors. We also offer bedding and custom backfill conveyors, bedding products, as well as custom specialty buckets. Our products have been proven to deliver 20% or more in efficiency gains. How? It’s simple—with Felco’s two-in-one attachments, you won’t waste time switching back and forth between attachments or buckets. Sound interesting? Here’s a great article on the Top 3 Ways our Vibratory Compaction Bucket Saves contractors time and money. 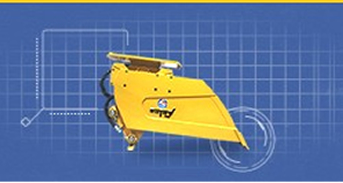 Learn more about our compaction attachments, conveyors and bedding, and custom attachments. Felco Industries is committed to providing the best compaction, bedding, and other products on the market, and dedicated to helping you improve efficiency every day. Customer service is also a priority for us—we strive to provide only the highest level of service. If you have any question about our attachments and buckets, please contact us. A Felco product specialist will do whatever it takes to help. AND INCREASE EFFICIENCY BY 20-40%!